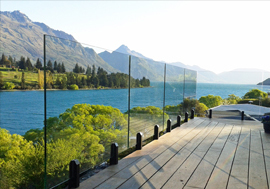 Located in the central South Island of New Zealand, we provide glass & windscreen service’s to the city of Timaru, as well as the many smaller rural communities of South Canterbury, as remote as Aoraki / Mount Cook, Twizel, Omarama, Otematata, Kurow & Peel Forest and the nearby communities of Temuka, Geraldine, Fairlie, Lake Tekapo, Pleasant Point, Pareora, St Andrews & Waimate. Glass Specialists is Timaru’s largest and most experienced glass provider, having worked on many large commercial glazing projects, such as Timaru's CBay Aquatic centre, we have the experience and confidence to take on any size glazing project from the very large to a simple cat door installation, we are here to help 24Hrs a day. We strive to maintain the highest possible quality of product and services, so whether you have a broken windscreen or a broken window at home, you can be confident in choosing Glass Specialists as your glass repair expert, as we only employ or train NZQA qualified tradesmen and can boast over 150 years of combined tradesman experience. Looking for retrofit double glazing? 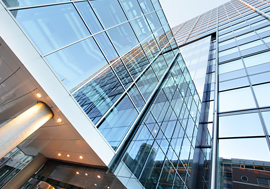 Here at Glass Specliasts we are equipped to handle commercial glazing, home repairs, pet doors and more! Click for details! 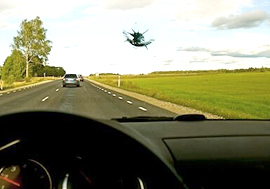 If you need car windscreen repair near Timaru, Glass Specialists are the car window repair experts you need. Click here to find out more about our services! 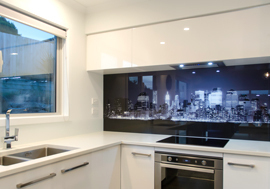 For glass splashbacks in your kitchen, or glass showers nz loves, click here - Glass Specialists offer a range of kitchen & bathroom glazing services! Need a glass balustrade? For glass fencing - indoor or outdoor - talk to Glass Specialists. We offer glass fencing for pools, spas, windbreaks and more!